Hi Nancy! 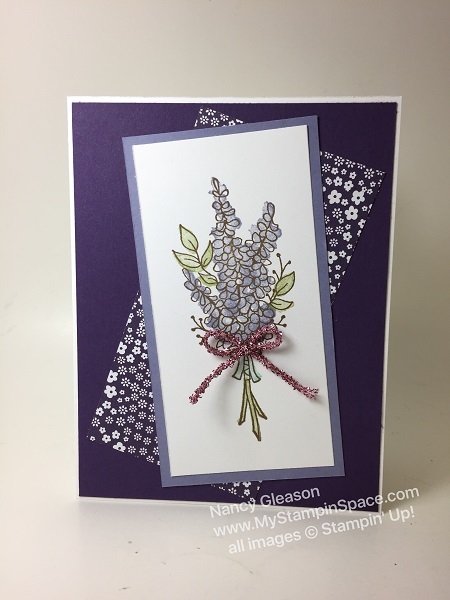 I just love your lavender design! What a great idea to use some of that wonderful tinsel trim to make a bow for the bouquet. 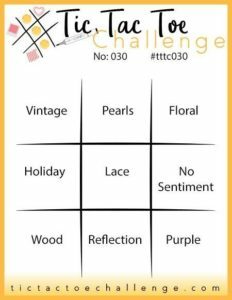 Thanks for playing along with Tic Tac Toe Challenge this week!